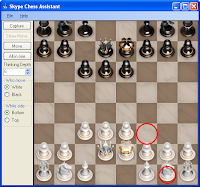 Chess Assistant For Skype and Yahoo Messenger is a handy tool if you want to cheat in your online chess games, but also if you want to improve your performance. 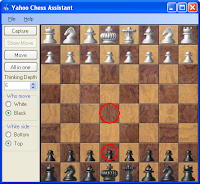 If you play chess with your friends on Yahoo or Skype you can Use this program to have fun and defeat them. At the end do not forget to tell them that was a joke and you only wanted to saw how they react at your move. Which Instant Messaging Client to Choose ? Skype on Apple TV ?